“Our focus with the Electron has been to develop a reliable launch vehicle that can be manufactured in high volumes. Our ultimate goal is to make space accessible by providing an unprecedented frequency of launch opportunities,” said Peter Beck, Rocket Lab founder and chief executive in a statement. The firm had spent the past four years preparing for the test launch and last week received the go-ahead from the US Federal Aviation Administration, which is monitoring the flight. Ships and planes need re-routing every time a rocket is launched, which limits opportunities in crowded US skies, but New Zealand, has only Antarctica to its south. The country is also well-positioned to send satellites bound for a north-to-south orbit around the poles. But many locals in the predominantly Maori community were not happy with access to public areas blocked. But Taumata also said the programme could bring opportunities. 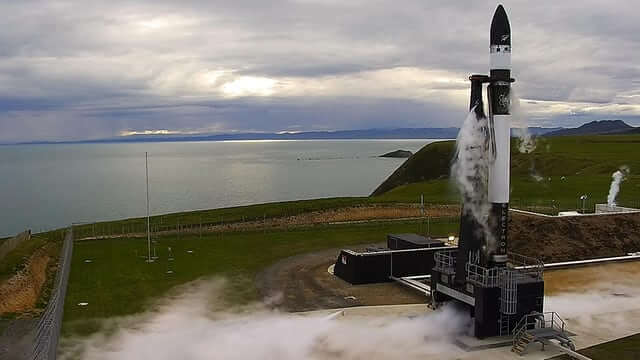 Rocket Lab is one of about 30 companies and agencies worldwide developing small satellite launchers as an alternative to firms jostling for space on larger launches or paying around $50 million for a dedicated service. The company said in a statement it has now received $148m in funding and is valued in excess of $1bn. The firm will carry out two more tests before it starts commercial operations, slated to begin towards the end of this year.